Richard Pass didn’t think nursing was for him, but after more than 15 years of service at Lakeland Regional Health Medical Center, he can vouch that Polk State College’s Nursing Program prepares students for fulfilling and successful careers in critical care. The former Division I basketball player received an Associate in Science degree in Fashion Buying and Merchandising and started a career in sales before moving from New York to Florida in 1997. He was a stay-at-home dad to his three children until he decided it was time to go back to school. He recalls meeting with Dean Sylvester Little, who advised him to consider the College’s Nursing Program. Pass received his Associate in Arts and Associate in Science in Nursing from the College in 2003 and was quickly employed at Lakeland Regional Health. He started as a staff nurse and moved his way up from charge nurse, to team leader, to emergency room supervisor. Today, he works in Fast Track in the country’s busiest emergency department. In the 2017 fiscal year, Lakeland Regional Health’s emergency room had more than 210,000 visitors – 32,000 visitors more than the second busiest ER in Dallas, Texas. “Traditionally, you can’t go into critical care without at least one year of experience in the medical field, but with the excellent reputation of Polk State Nursing, and how well the program prepared me, my employer accepted me right out of college,” Pass said. Graduates of Polk State’s Nursing Program are highly employable and consistently exceed state and national averages for pass rates on the National Council Licensure Examination for Registered Nurses (NCLEX-RN). In fact, the College’s NCLEX pass rate for the first quarter of 2018 was 98.33 percent — well above Florida’s 76.61 percent and the nation’s 89.25 percent. 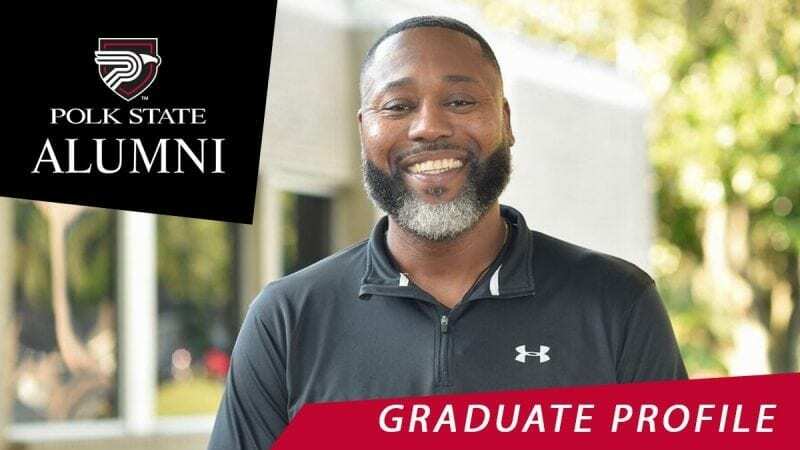 Pass went on to receive his Polk State Bachelor of Science in Nursing degree in 2016 and is now studying at Chamberlin University to become a nurse practitioner. “I may be 56, but I want to continue furthering my education and helping people however I can,” he said. Pass credits Polk State for giving him the foundation and skills he needs. He specifically noted the value of the program’s holistic approach to nursing. That’s the most rewarding part of the job. “When someone says thank you for caring for their mom, dad, or loved one – that’s the greatest feeling in the world knowing that I was able to help,” he said. Pass, who once wasn’t sure about nursing, said he now couldn’t imagine life without his career and his education.